Pappy Bob has been in the food service industry for over 25 years and was formerly a 5 star trainer running smokers for corporate restaurants. 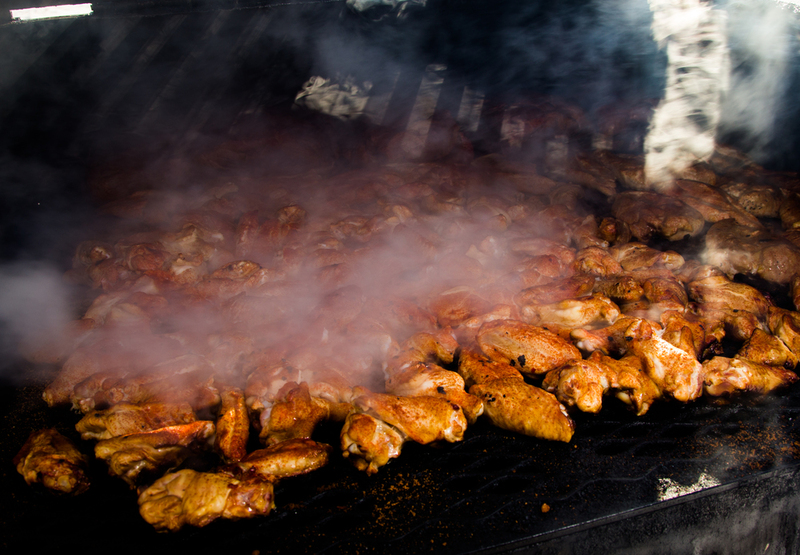 Trained in Louisville, Kentucky, he has been mastering the art of BBQ for the last 18 years. He has now returned to his origins in Ohio to forge his own path in the world of BBQ. Pappy Bob lives locally with his family and has strong ties to the community. A member of the Kansas State Barbecue society, Pappy strives to establish a new vision of Ohio barbecue. With his smoker, Ruthie May, by his side Pappy continues to serve delicious hickory and apple wood smoked BBQ at weddings, graduations, family reunions, corporate parties and all kinds of other events. Both include choice of 3 sides, salads with dressings, sauces, rolls with butter, plates, plasticware, napkins and wet naps. Set up buffet style with chafing dishes. Two 6' tables for the food available. Catering available for Weddings, Graduations, Family Reunions, Birthday Parties, Golf Outings, Company Picnics, Anniversaries and More!! Dinners- Includes choice of meat(s), 3 sides, sauces, rolls & butter, salad & dressings. Includes steak, baked potato w/butter & sour cream, smoky baked beans, salad & dressing, roll & butter, steak sauce & dinnerware. Grilled on site $18 per person. Add grilled chicken for only $3 more per person. All catering is set up buffet style using stainless steel chafing dishes. If needed, we can provide tables for the food set up. Space for two 6" tables will be needed. Additional add on are available. A 25 person minimum is required on all catering events and a 20% non refundable deposit is due to reserve the date. Final payment will be due at beginning of the event. Prices are subject to change.